There are 6835 posts in this topic. You are on page 120 of 137. Got it guys! Works Great!! My up kickers are taking two to three times to kick up. Is there a way to adjust them? 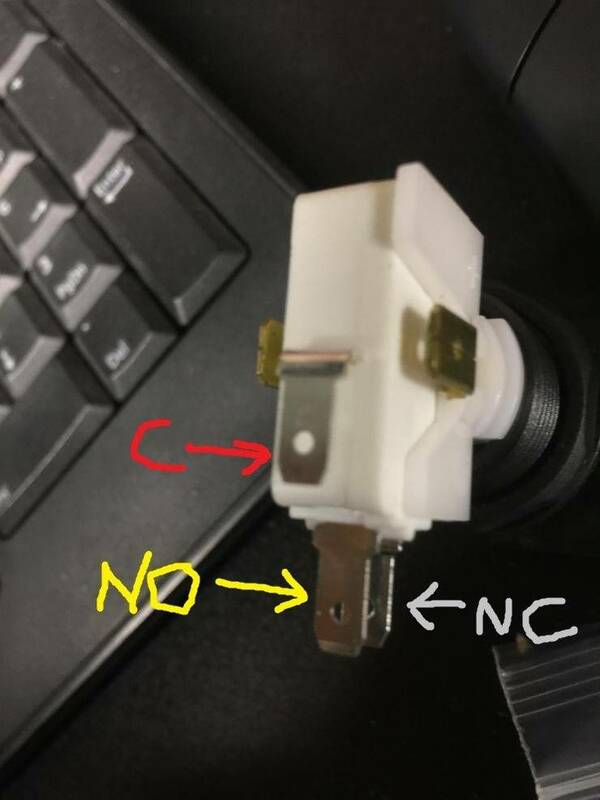 When it's on your thumb drive, if you plug it into your computer, what does it say is on the thumb drive ? Try rufus instead of unetbootin, that's what I had to do on mine for it to work. I can’t remember the exact verbiage but something like soft was it found. Concerning Rufus do you follow the same Directions as unebootin? Yeah faught this myself and realised I kept formatting my SD card in my machine like tripple read the instructions - also reformat stick - and directly connect to the machine not the long USB cord. 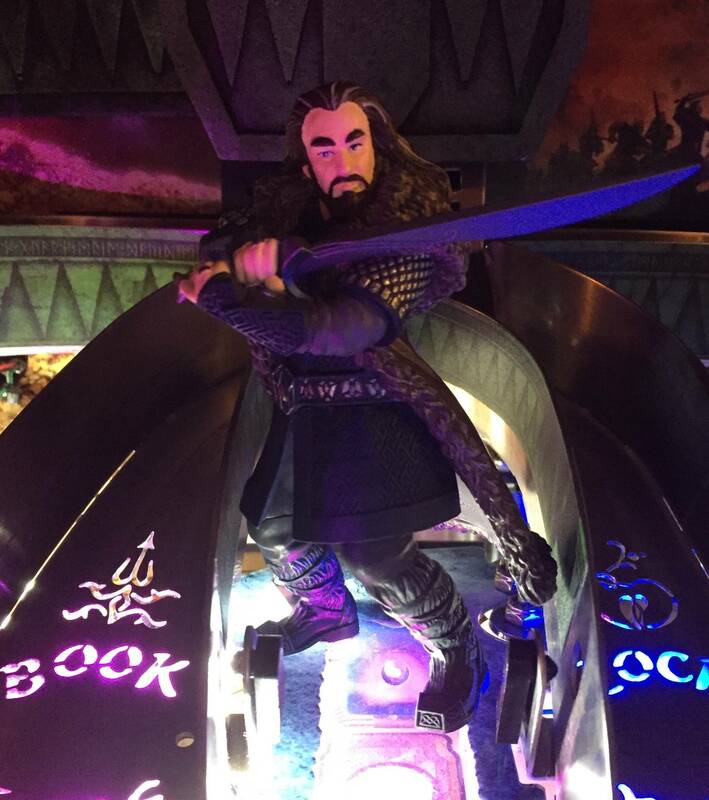 During the second and third Arkenstone mode, but especially during botfa the callout "stage 1 complete" is heard at the same time as Azog speak his "orc language encouragements" to his troops. These callouts from Azog from one stage to the next make botfa a great experience and, according to me, this is ruined by the new "stage 1, stage 2, stage 3 completed" phrases. These phrases go well with "into the fire" since no character speaks during the end of a stage. But during botfa it's annoying and not necessary, since Azog already introduces the next stages in a great way. Solution: delete the "stage 1, 2, 3 callouts during barrel escape and botfa. 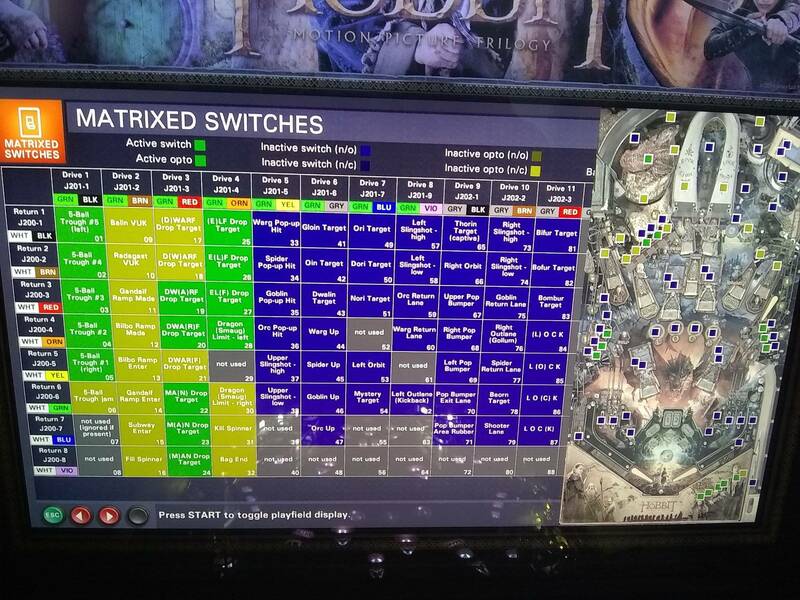 If I remember correctly the callouts also overwhelm the "superjackpot" callouts during the Arkenstone modes. I like this product also - but I removed it because it is a bit too large and required filing down to make it fit properly. If they can have it a bit closer to the size of the plastics they are protecting but a tad larger it would be a much better product. Just got BNIB Black Arrow, here in the UK. It appears to have some horrible electrical interference all over the audio. It could be done. However, I made the hobbit ones a bit larger than the rest of the protectors as they looked way more awesome with the game with more color as opposed to ever so slightly larger and subtle color. I just made a different decision on this game specifically. 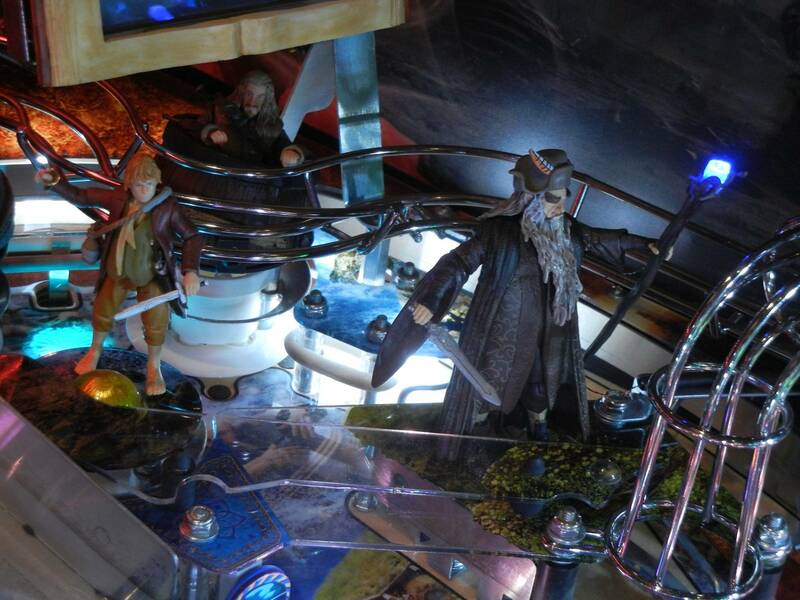 Hey, I have these in my hobbit and they're fine. You have to loosen the bolts that hold the plastics and move them slightly away from the ball hang and tighten it back down and they're fine. 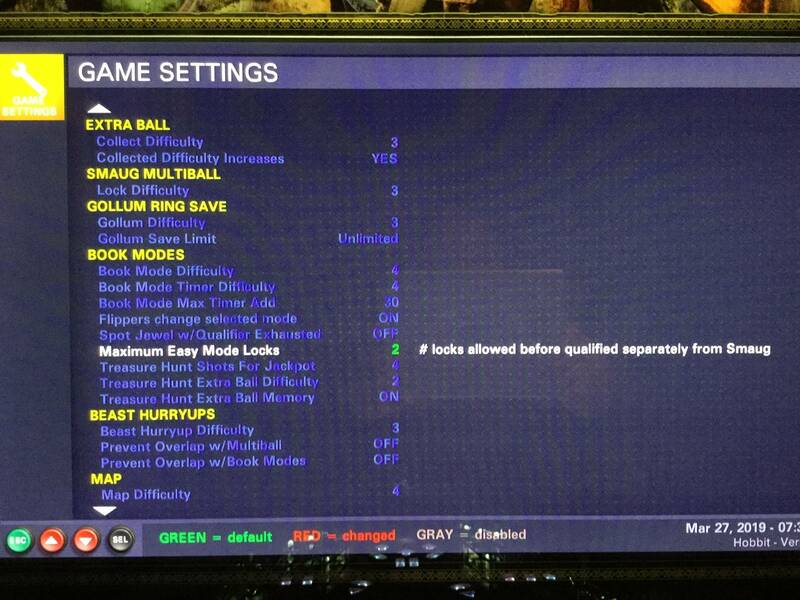 Another friend has this on a game on route also no issues. Have these on mine and they work well for the most part. I've been hearing a clicking noise since updating to 3.0. it is a few 3-5 clicks at start of the game. Not the drop Target sounds, but quieter. Can't figure it out. 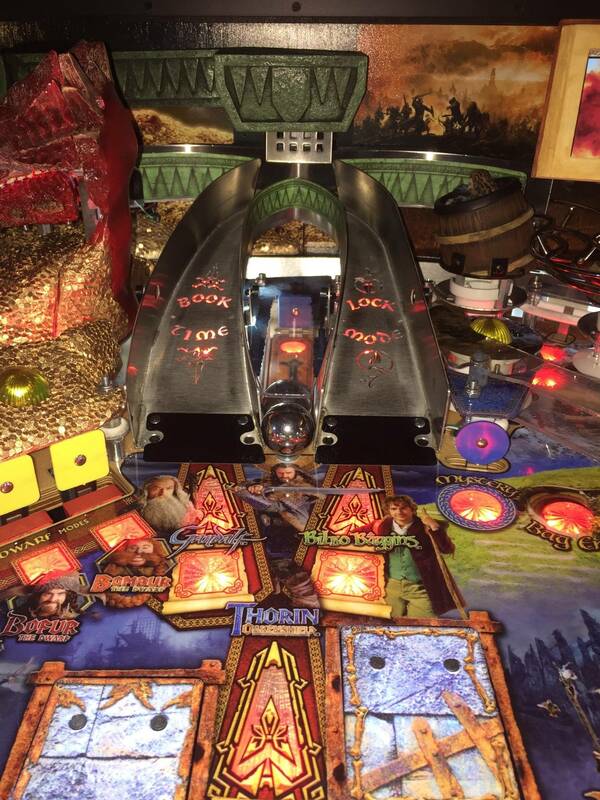 I didn't realise Smaug multiball carries over , just a couple shots in, the flippers died and for a second I thought there was a problem but then the animation started also got to botfa .What a rush this game is so good .Best pin ever. Rufus worked perfectly for me, I kept getting an error using Unetbootin. Thanks! Does this go inside the silver box between the MOBO and the sound card? It's hard to tell, but it's just a quick 5-7 click noises underneath. Maybe what you said. It was after updating to 3.0. Sounds like a down switch is getting triggered, by something. 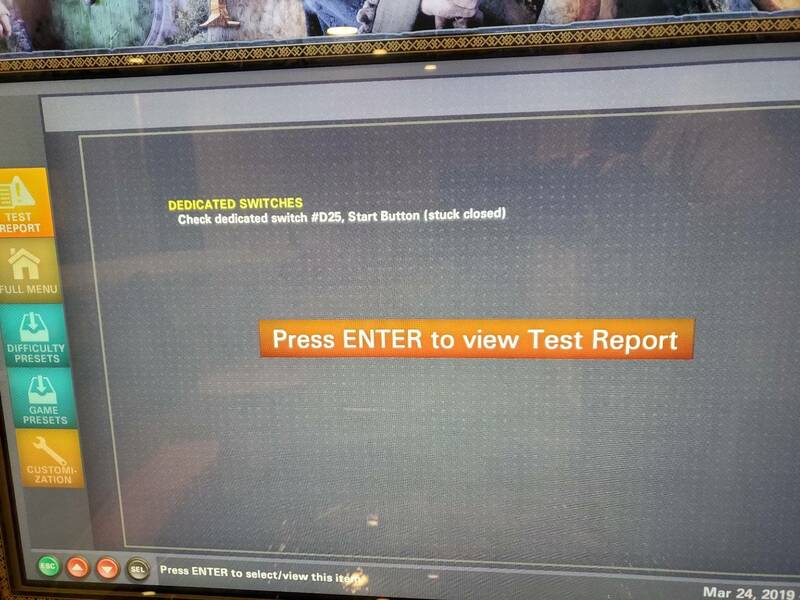 I would go into the diagnostics menu and run a coil and a switch test. Do changes of settings take effect immediately, or do you have to cycle the power to the machine. There supposed to be a blue rubber on both up kickers ? I only have one on my right side. It plugs into the back of the silver box where the audio cable to the speakers comes out. The audio cable from the speakers plugs into the ground loop isolator. Its not mandatory, but its good practice to test the install to make sure its booting properly. I noticed smaug is lit active. Is that normal when machine is idle? Thanks for helping guys. I mean when you change any settings, like coil settings. Not after an update. Played again today. Wow! Thanks jjp for getting this game improved. This game is amazing. Jjp, keep it up. Wow. 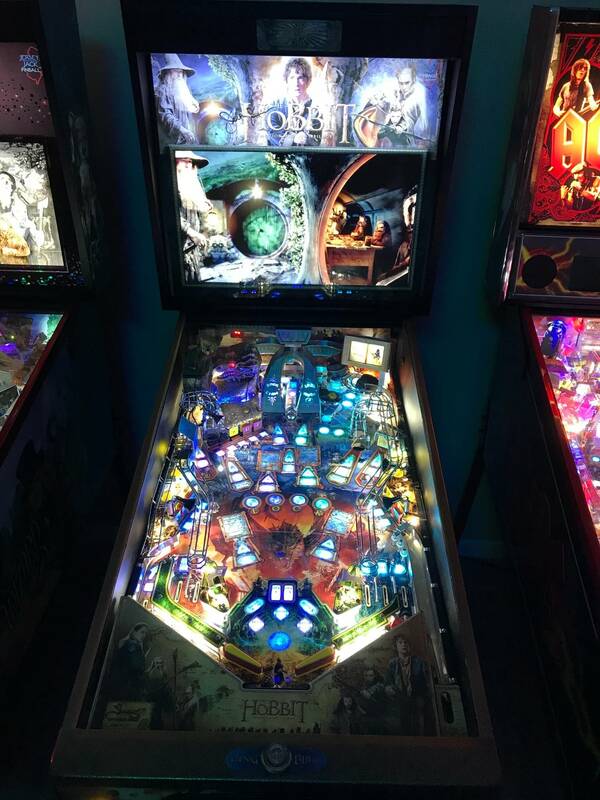 Was just having a great game and started Smaug multiball on progress towards arkenstone number two and during multiball start sequence, the screen went black, flippers went dead, and it rebooted. First time that has ever happened. Running 3.0. Thanks panzer will give it a go. 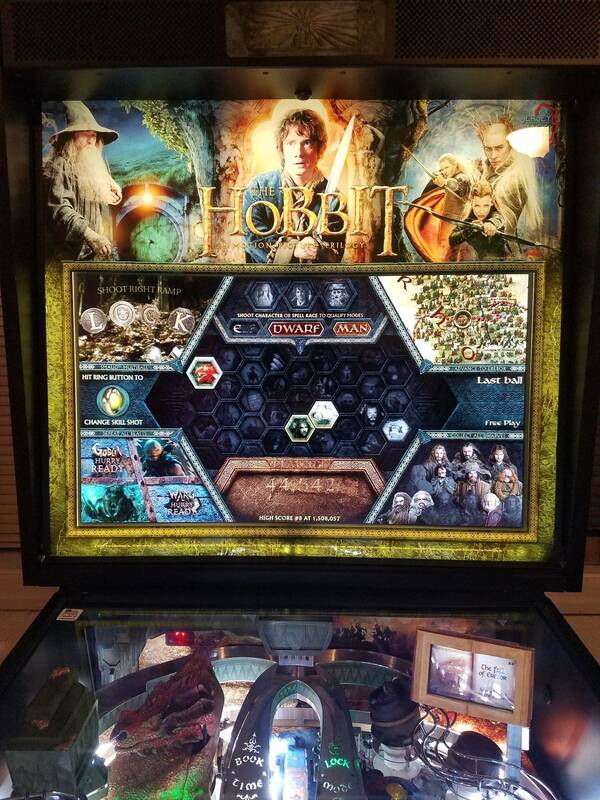 The only other problem I have (and there's this trouble since I got the machine before 3.0 so), and I don't know if it's a common problem or if there's a fix for this, but sometimes, when I start up The Hobbit, the display on the monitor is completely screwed... Like green vertical lines, or red vertical lines and picture is totally destroyed, this is very terrifing but... I stop the machine and restart it then problem is solved. Sometimes it can take 2 or 3 try but after that it works flawlessly. I am the only one to get this problem? Sounds like a loose or defective monitor cable. Had some skipping sound after starting into the fire. 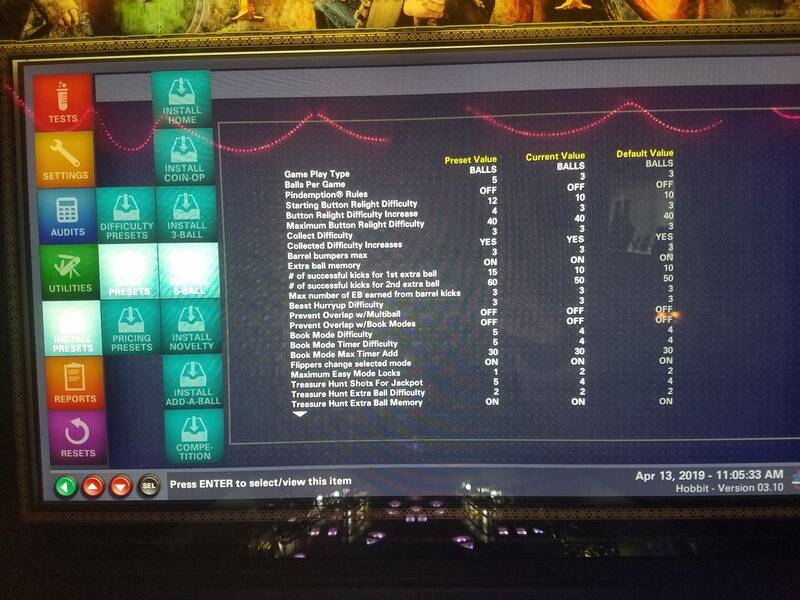 Nothing a reset didn’t fix. Ted PM'd me and is working to look for any bugs. 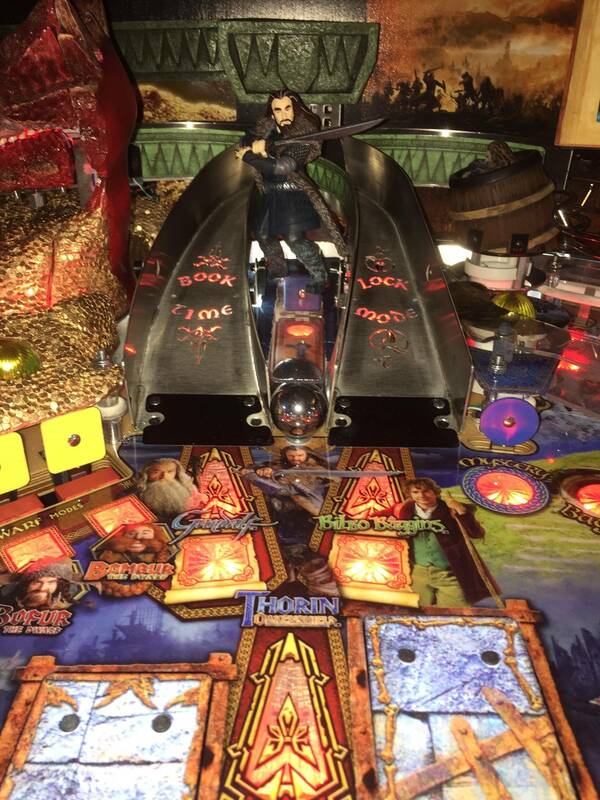 We are going to do a limited run of Hobbit pin cups. A couple of people had messaged me in the past about it. If you would like one, just PM me. $30 including shipping in the US. The one pictured is ambidextrous, but we will be printing right or left hand flanges. The one pictured has the flange on the right side. This would attach to the left leg and stick out the the side of the cabinet or attach to the right leg and stick out in front of the cabinet. If you really want an ambidextrous one let me know and we can figure something out. 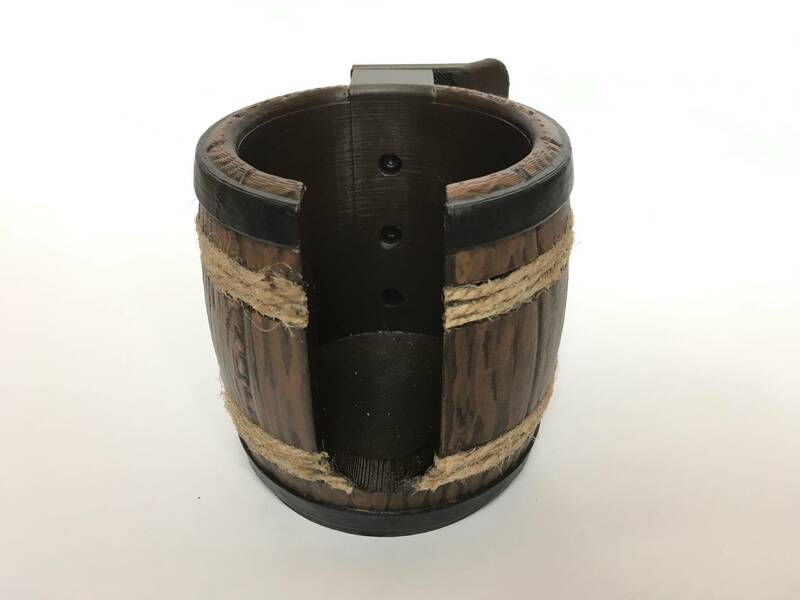 I personally have no interest in game-specific pin-cups, but I have to say...this one is pretty dope! 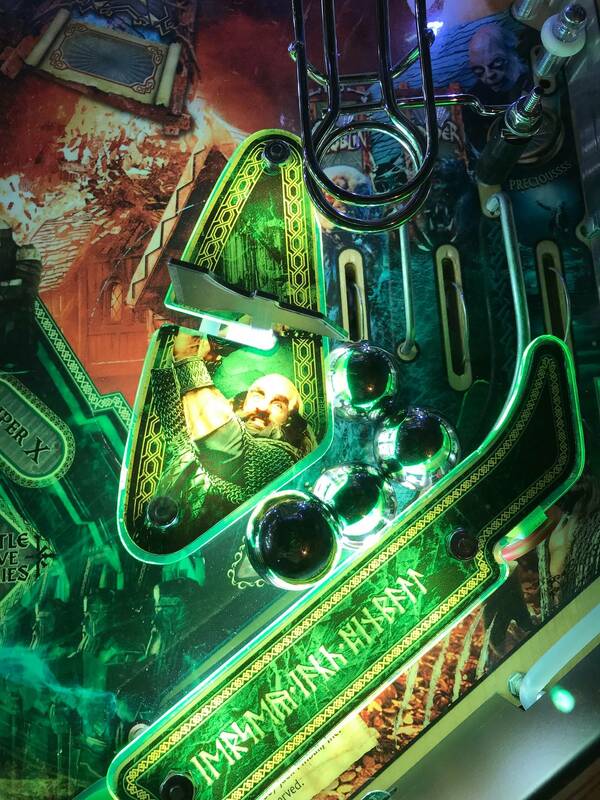 I'm satisfied with the plain black one on my Hobbit currently, but this is definitely the coolest theme-ified pin-cup I've seen. Nice work! looks like it could use vinyl trim where cup handle would sit. i can see the bailing twine fraying. other wise looks nice. 2) The default extra ball scores are 200K, 400K, 800K and 1.6M. However, my game also gives an extra ball at 300K. After getting the 200K extra ball, it says next extra ball at 300K and it delivers. Next extra ball as expected at 400K. Boost is Off and I installed 3-ball, followed by Install Home. Any ideas? getting ready to install topper, where do you plug it in at? 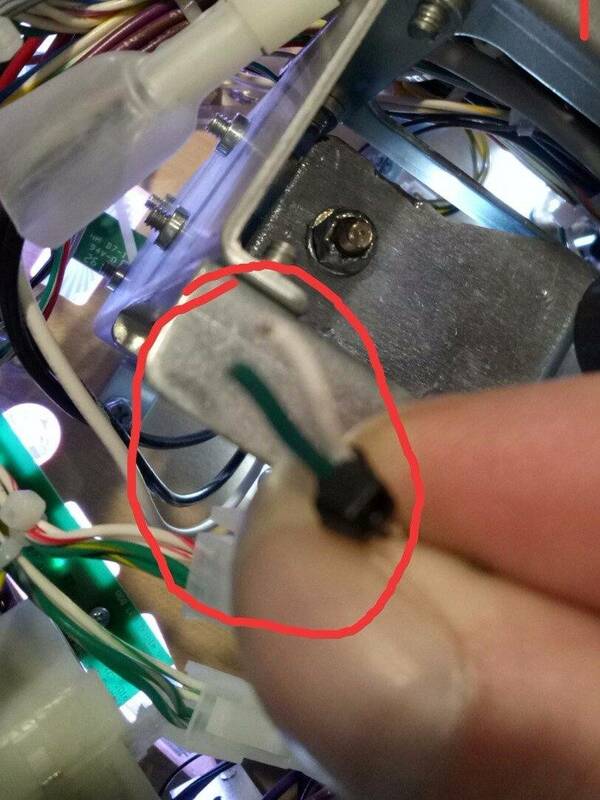 is there a plug in backbox behind screen or do you have to feed it to bottom of machine. 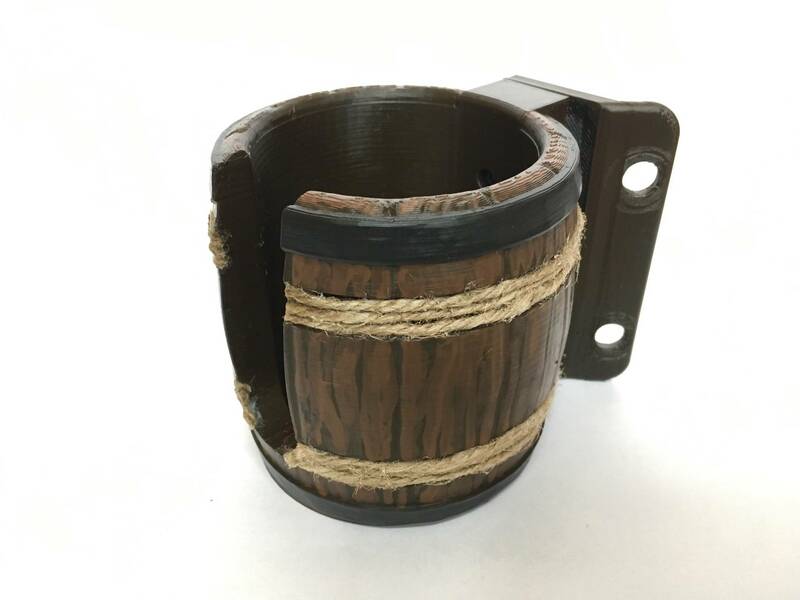 Not sure how close they are, but I JUST finished a 3D print of a cup like this. Really nice! Cool! Happy to share the 3D print file too if you want to try this one out. 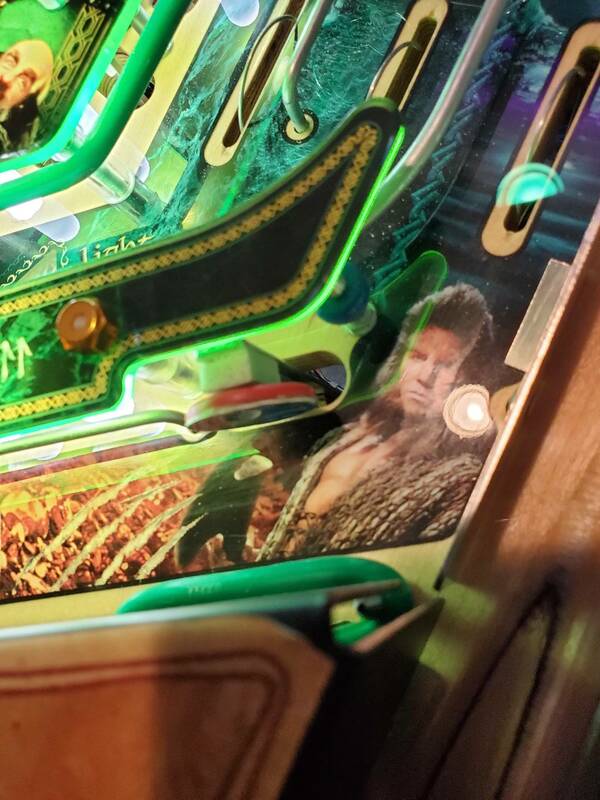 Topper plug is in the cabinet, left side toward the back. Has blue wires. Cups look great. Pretty cool. Nice work. What topper are you guys talking about. Pics??? You must have made other changes as well. Based on your description, you turned "Replay" ON, and set "Score Award Levels" to 4. For my tastes, that's too many extra balls. However, I pass no judgement on how others like to set up their games.